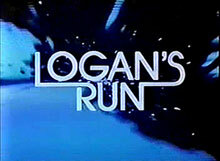 TV Shows on DVD is reporting that Warners Archive is in the process of putting together a Logan's Run - The Complete Series manufacture-on-demand DVD-R set for release sometime this year. It will contain all 13 episodes. You can find their article HERE. 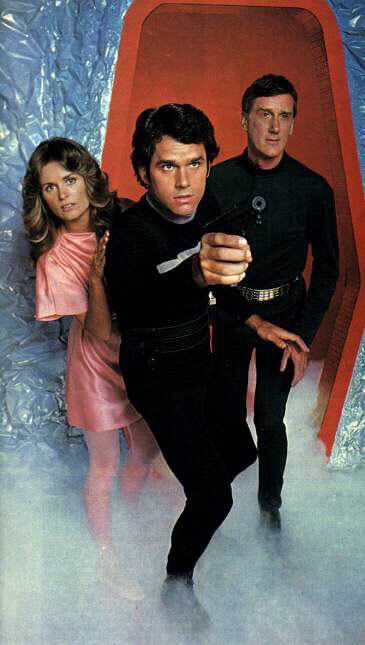 I'm a fan of the show, which starred Gregory Harrison, Heather Menzies, Donald Moffat, and the ugliest solar-powered "hovercraft" ever imagined. The show wasn't great, but it was a lot of fun, and had several really good episodes. Star Trek veteran D.C. Fontana wrote for and was story editor on the show, which was produced by William Cairncross and Leonard Katzman, who had been responsible for Fantastic Journey the previous year. 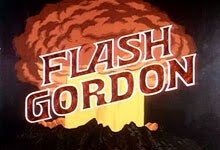 Guest stars included Mary Woronov (Death Race 2000), Kim Cattrall (Star Trek VI), Soon-Tek Oh, Jared Martin (The Fantastic Journey), Melody Anderson (Flash Gordon), Angela Cartwright (Lost In Space), Barbara Babcock, Nehemiah Persoff, and Gerald McRaney. Harlan Ellison's 'The Crypt' was a really good episode. Better yet was David Gerrold's 'Man Out Of Time'. Logan deserved a longer run. 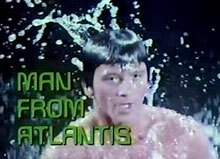 So, "Logan's Run" gets a series release, but "Man From Atlantis" doesn't? How is that fair? LOL..I just started dubbing the run I recorded on TNT years ago to DVD. I only finished the pilot so I'm going to hold up and wait for this release. Great news! 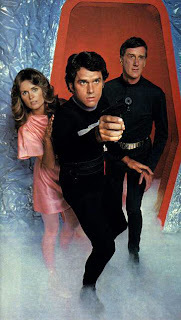 Even if we never see the new Logan's Run movie made, we still have the 1976 movie and this sequel/remake 1977-78 tv series which I enjoyed (as a 14 y.o.) watching first-run on CBS back then. It definitely deserved a longer run. The show was essentially a reboot and despite my love for the original movie, I liked this series as well. There were a few weak episodes, but overall it was a fun attempt to show us more of Logan's world. Donald Moffat was a welcome addition to the cast as REM and added a touch of humor. Oh, and Randolph Powell did a suitable job as Francis, including the subplot where he found out that the city of domes was run by an elderly group of overseers. 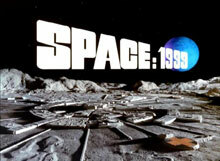 The show was never given a chance to expand its potential. Ah, DVD-Rs. This was a short-lived series, so I'll bet I can get through half of the episodes before the discs stop working. Now THIS is news that excites me much more than the Blu-Ray release of Star Wars (which didn't excite me at all). I loved the Logan's Run series and was a aware that it was available on iTunes, but since I don't live in the US, I was unable to buy it. Since it's a Warner Archives edition there's slim hope of any extras like commentary from Gregory Harrison or Heather Menzies, but I'll take the series any way I can get it. I must be the only guy who liked Donald Moffat as Rem. I thought he was damn-near brilliant in the role, and probably my favorite TV android. 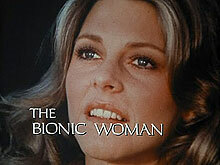 Moffat was terrific as 'Rem' and how gorgeous was Heather Menzies as 'Jessica'? Wow! Not forgetting Kim Cattrall and Mary Woronov. 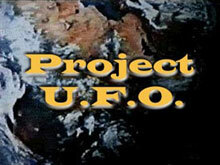 In 2006, Britain's Sci-Fi Chaanel repeated the series, albeit with the opening titles removed and the pilot chopped in half. It will be great to see it as it was meant to be seen. You are not alone, watching LOGAN'S RUN in 1977-78 as a 14 y.o. boy, I thought REM was a cool addition to the LR canon. He was obviously an inspiration for Star Trek Next Generation's Data. REM was great and Moffat always adds value to any movie. No, I liked Donald Moffat as REM too. He added some stability to the situation, as Jessica and Logan could always rely on his knowledge and expertise in their unfamiliar surroundings. But his quirky humor was great too! A really unique character. I liked the show was,nt great some good episodes but lacking in others,was sad to hear it only lasted one season would have liked to have seen how the show developed and how they would have ended it. Nice to have an offical dvd release but i was lucky to record it myself from tv with no adverts and on dvd aswell!!!! About time! I've had the bootleg series since 2005, a tv show before my time but I sure love it. 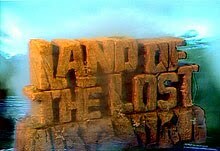 I hope they do a decent digital remaster and put in extras, such as info about the unscripted episode ideas they had at the time. Again, being in Australia, will no doubt have to order from amazon as this place is still in the 70s lol. 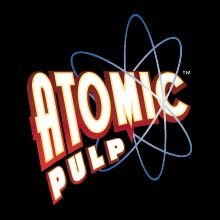 I wouldn't hold my breath for any extensive remastering or bonus features. Most Warner Archives titles are strictly bare-bones releases. 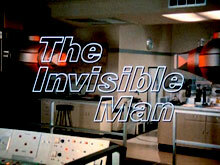 That single-disc release of the Man From Atlantis pilot has been available from Warner Archives for some time. However, I have it on good (but unofficial, so far) authority that a complete Man From Atlantis series set is in the pipeline, though there's no ETA as yet. I've been told that there is no release date yet, but Warners knows this is a much-desired title and wants to handle it right. After a year or so I doubt that this will arrive..unfortunately! I received the Logan's Run set about a week ago from Amazon and I'm disappointed in the video quality. It's not significantly better than the bootlegs I've had for years. 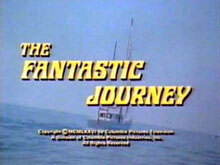 This gives me little hope for good quality for The Fantastic Journey if that is ever released. My bootlegs of it are pretty bad though so almost anything would be better. As for the L.R. cast, I thought they all were great. And REM was cool. 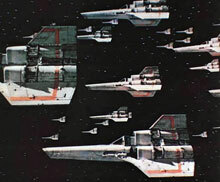 It's kind of sad when I look at my TV series collection and see how many 70s sci-fi series that I loved never made it past season 1.